The Bach model LT16M features a 7-1/2" one-piece hand-hammered bell designed for excellent resonance and projection. The straight .509" (LT16 dual bore .495"/.509") bore lightweight nickel silver handslide design provides great control with a quick response. The open gooseneck provides an open feel with less resistance. The clear lacquer finish provides a subtle warmth to the overall sound. 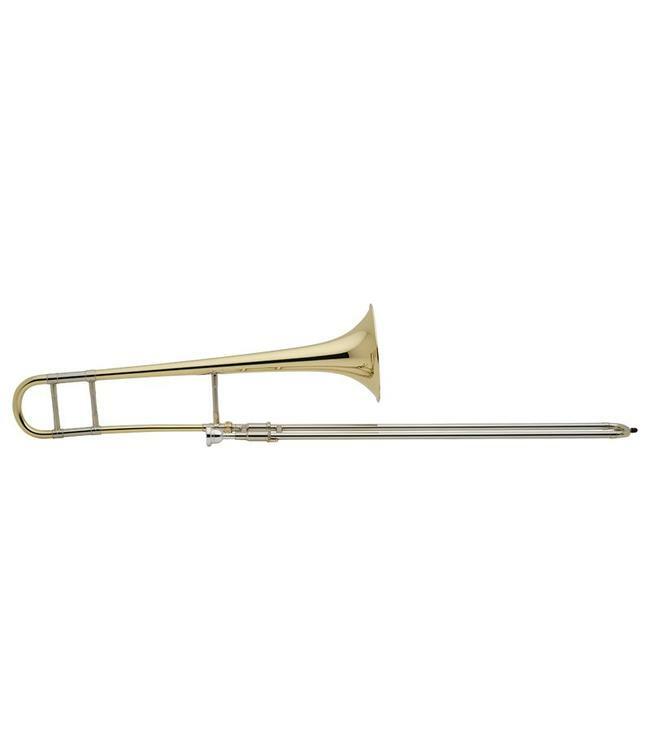 Preferred by legendary Jazz trombonist Bill Watrous, the Bach Stradivarius model LT16M tenor trombone is designed to meet the needs of the most discriminating artists.